In groups of ~2, you will optimize the hydraulics for the given 8-3/4” production hole BHA. Submit a report in 5-10 pages detailing the background information, your approach, and an engineering recommendation for the drilling operations. You should provide a Liner size for the rig’s mud pumps, make & model of a drill bit, and which nozzle sizes you have chosen to use in your bit. 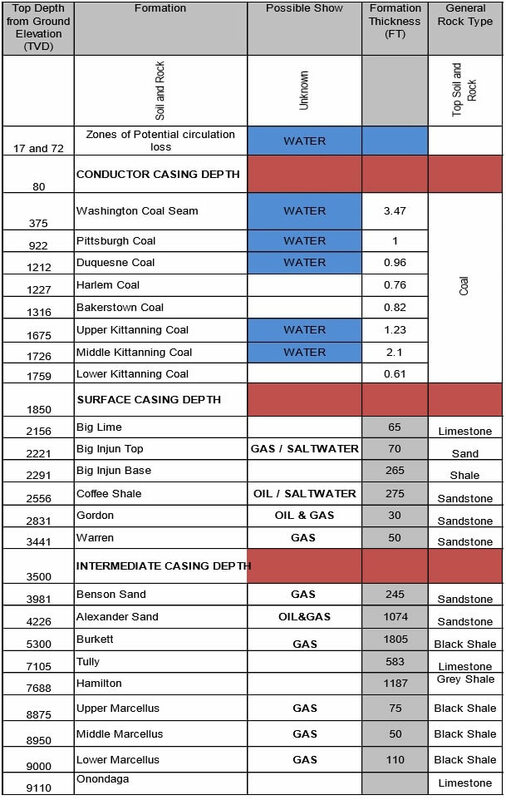 Choose a Liner size for the rig’s mud pumps from the chart of available sizes. The rig is equipped with two (2) F-1600 Triplex mud pumps. Max pump speed is 120spm per pump. See output chart below. Note: both mud pumps should have the same Liner size. The bit should be chosen based on availability from a service company. The bit should withstand the drilling conditions and expected formations as outline in the Geologic Prognosis provided by the geologist. The bit that you choose will accept a specific number of nozzles which will influence the flow area and overall hydraulics. The well currently has 9-5/8” 54ppf J-55 intermediate casing set at 3,500’. The production section of the wellbore will be drilled at 8.75” from 3,500’ to a TD of 9,000’. The formation pressure gradient at TD is anticipated to be 0.624psi/ft, and the drilling mud will be an oil based invert emulsion fluid weighted with barite. The minimum fluid flow velocity in the open hole annulus section should be no less than 300ft/min at TD. Create an Excel spreadsheet to calculate pump pressure at the surface and generate Pump Pressure vs. Depth chart. Optimize the hydraulics by maximizing the Bit Hydraulic Horsepower (HPP) per square inch of bit diameter (HSI). 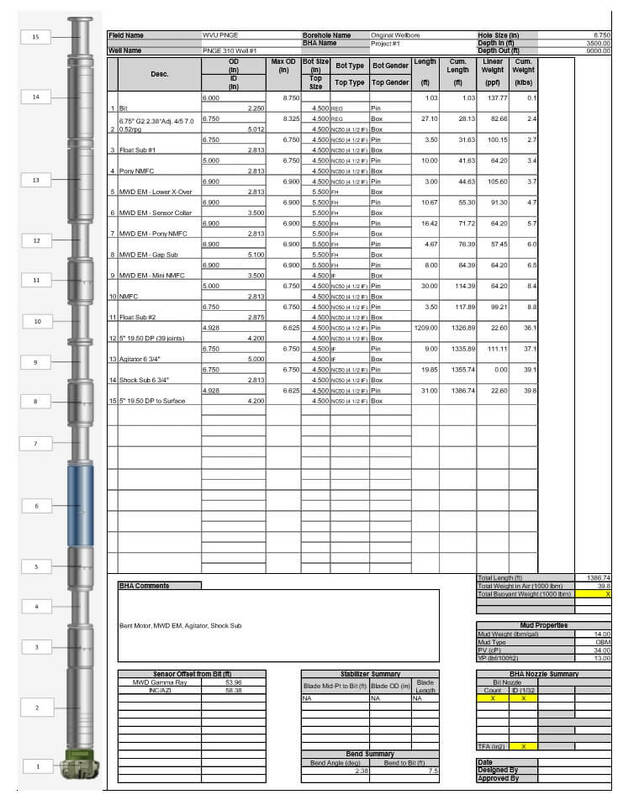 Below is a table providing the pressure loss profile throughout the flow loop and the length of each component at total depth.